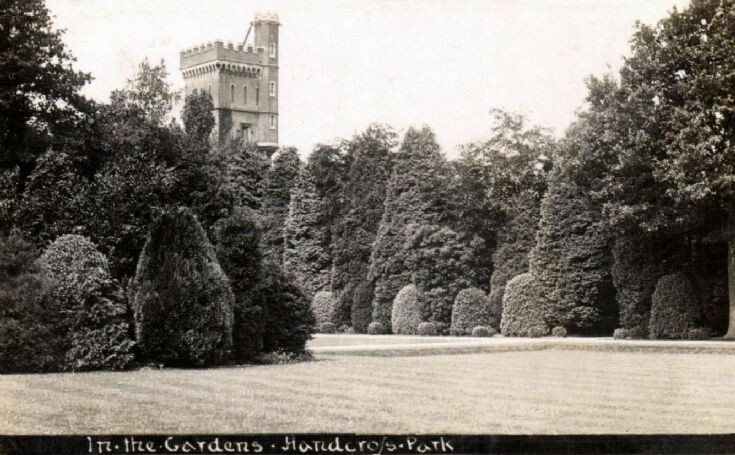 The photograph is of the water tower of Handcross Park taken from the extensive gardens. A High Water Tower of Noble Architectural Elevation. To the top of which water is pumped from a well about 45 ft deep to supply the Mansion, Stabling, Gardens, Farm Buildings and Premises.